We hold expertise in offering supreme quality range of Fiberglass Storage Tanks. These Fiberglass Storage Tanks are available in different size, range and specifications as per the demand of the customers. Our product range is tested under different norms which we set by the industry. Manufactured with quality material, our range of Fiberglass Tanks is designed to offer internal PE lining. 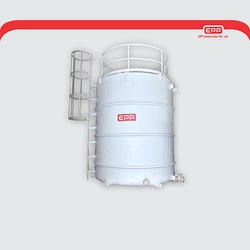 Manufacturer PP FRP Caustic Storage Tank. We are manufacturer of Fibre Glass tank in all shapes and size. 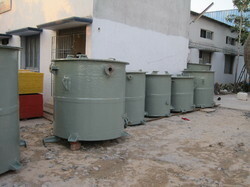 Fibre Glass Tanks are widely used for Chemical Storage Tank, because they are anti-corrosive by nature.